Barry Greenstein’s Incredible 2nd PokerStars Sunday Billion Win! 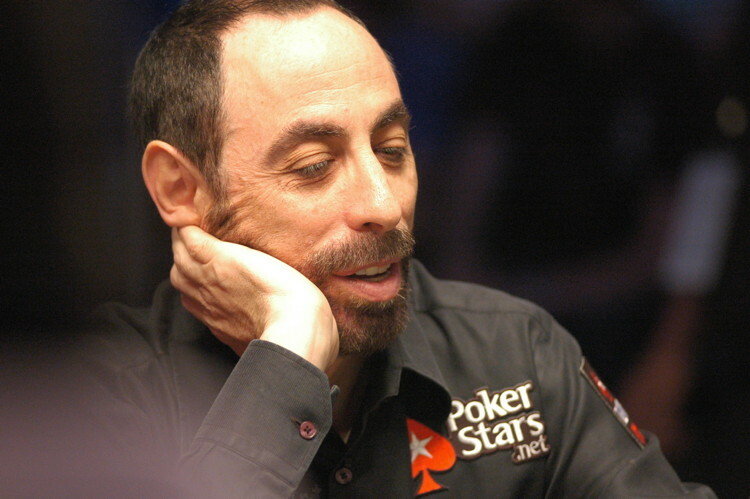 Having played in some of the world’s biggest high stakes cash games and earned over $8.8 million in tournaments, you’d think that Barry Greenstein would be above a play-money poker tourney. But every weekend, Greenstein has been grinding in the PokerStars “Sunday Billion” – the tournament that costs 1 million play-money chips to enter and offers a prize of 1 billion play chips. And Greenstein just captured his second Sunday Billion title in the past five weeks. Sure it’s just play money, but this is still a pretty incredible feat when you consider how popular the Sunday Billion is among recreational players. It’s even more amazing when you consider that Greenstein is playing a totally different game, which we’ll discuss below. It only makes sense that poker gets tougher as you increase the stakes. After all, those who’ve studied the game the longest/hardest are usually the ones grinding for the most money. That said, some might think that winning a couple Sunday Billion tourneys with fake money on the line is only mildly impressive. But for a well-known pro like Greenstein, these games are completely different than what he’s used to. Remember, the 59-year-old has played on High Stakes Poker and competed in the biggest games at Bobby’s Room (back when this was elite). So it’s not exactly easy for him to step on to the play-money felt against a bunch of amateurs who are playing with nothing to lose. Another thing to consider is that these players are all looking to bust Greenstein just to say they knocked out a famous poker player. So this adds another element of difficulty in regard to him winning. Lastly, the field size in the last Sunday Billion was 938 players, which isn’t exactly a walk in the park – no matter what the level of competition may be. Nicknamed the ‘Robin Hood of Poker’ for his charitable contributions, Barry Greenstein has definitely been a positive influence on the game. And this sentiment has leaked over to the play-money tables, where Greenstein’s participation really thrills players. So how does a guy like Greenstein, who’s accomplished so much in the poker world, motivate himself to compete for fake money? According to him, the best philosophy is to view it like a video game. If you’d like to get bigger numbers than Greenstein, you can find him grinding in the Sunday Billion at PokerStars. But beware: he’s not going to be easy to beat, as his two recent titles suggest! Home » Rakeback News » Barry Greenstein’s Incredible 2nd PokerStars Sunday Billion Win!